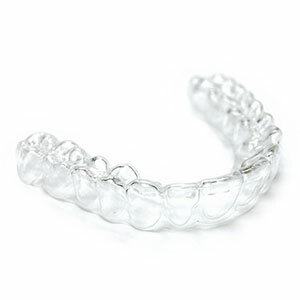 Invisalign® is the clear, comfortable, and convenient alternative to traditional metal braces. As an Invisalign Preferred Provider in Rockville, MD, Dr. Esfandiari has the experience and expertise you can trust when it comes to getting a beautiful, straight smile. Dr. Sheila Esfandiari and the Tenley Orthodontics team are the orthodontic practice for the young and the young-at-heart. We love helping people of all ages achieve a beautiful, healthy smile that fills them with confidence. Ours is an office that puts our patients at the forefront: your goals, concerns, and comfort are our top priorities. Dr. Esfandiari and her team will work hard to learn about you as a person and the doctor will tailor a treatment approach that’s right for you and your needs. We want you to develop the lasting, radiant smile of your dreams and to enjoy every step of the process! Everyone on our team is an experienced professional. We’re also warm, friendly, and approachable. We love spending our days helping friends develop amazing smiles and look forward to doing the same with you! Please contact our Rockville, MD orthodontic office to schedule a complimentary consultation for yourself or a loved one. We serve Bethesda, Silver Spring and all nearby communities. Dr. Esfandiari and her team can’t wait to meet you and help you develop your healthiest, most beautiful smile. Call today! “Dr. Esfandiari and her team are a pleasure to work with and we highly recommend them for those seeking orthodontic treatment. They are pleasant, prompt, and professional. They also have been accommodating with our appointment times and insurance claims assistance.”– Jeanne D.